The statistics are both staggering and sobering. One in eight American women will develop breast cancer in her lifetime. Although death rates have been decreasing since 1989, about 40,920 women in the U.S. are expected to die in 2018 from breast cancer, according to figures from the American Cancer Society. This year, an estimated 266,120 new cases of invasive breast cancer are expected to be diagnosed in women in the U.S. While it’s much rarer, around 2,500 men in the U.S. also develop breast cancer each year. Behind each of these statistics are real people with families who love them and may be depending on them as well. Every breast cancer story is a story of hope, perseverance, and struggle. The ripple effects of a single breast cancer diagnosis is enormous, affecting life partners, children, parents, friends, colleagues, neighbors, and more. Against this backdrop stands a nonprofit organization that’s dedicated to making a positive difference in the lives of those affected by breast cancer. A Good360 partner since 2012, the United Breast Cancer Foundation’s mission is to make a positive impact on the lives of those affected by breast cancer. UBCF strives to alleviate the stress and strain that cancer can cause to patients and families, providing screenings, treatment, after-care, education, and other patient and family assistance. The foundation is also one of our newest Community Redistribution Partners (CRP). Unlike most CRPs in our network across the country, UBCF doesn’t operate a warehouse where product donations from our corporate partners are redistributed to other qualified nonprofits so they can better run their operations. In line with its mission, UBCF has a specific use for these items: They are given out to breast cancer patients, survivors and their families at giving events that are organized all around the country. 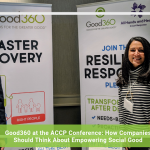 Working in partnership with Good360, the foundation hosted a Tempur-Pedic mattress donation in July at the International Warehouse Group in Bethpage, New York. 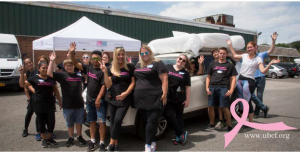 UBCF distributed 264 mattresses and thousands of other items valued at approximately $1.6 million, supporting 442 breast cancer patients, survivors and their family members. Every event attendee received a UBCF’s signature “Pink Bag Box” and at least one Tempur-Pedic® mattress. 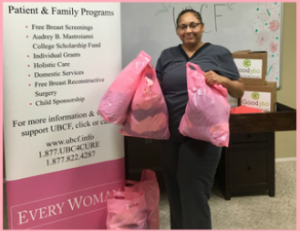 Each Pink Bag Box was filled with apparel from Eddie Bauer, J.Jill and Talbots, as well as personal care and beauty items from Burt’s Bees, Estee Lauder and Eos, along with hair dryers, curlers and straighteners. 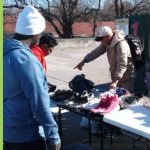 Additionally, attendees were gifted a George Foreman Rotisserie grill, a pair of brand-name sneakers, Culligan water filters and helmets from Kali Protectives. As you might imagine, a diagnosis of breast cancer can make for many sleepless nights, as patients contend with body aches and muscle soreness as well as the emotional and mental trauma of their illness. A high-quality mattress, which is a big cost to bear for families already facing large medical bills and other expenses associated with getting treatment, can make a huge difference in a patient’s quality of life. The attendees at UBCF’s donation events certainly come away thankful and grateful. Each Pink Bag Box can contain upwards of $6,000 worth of product. 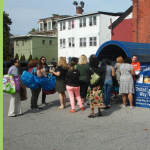 At another Pink Bag Event™ in Lindenhurst, New York, UBCF gave away about $410,000 worth of donated merchandise obtained from our corporate partners. 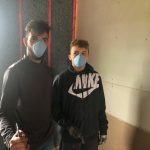 “By signing on as a Good360 CRP, the foundation will be able to diversify its outreach efforts, making partnerships with like-minded causes around the country,” Reichart said. Ultimately, that means UBCF will be able to help more people going through the ordeal of cancer treatment. 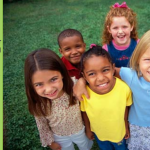 The foundation has a firm rule of never denying anyone service regardless of age, race, gender or income. 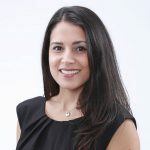 It offers grants that enable breast screenings, breast reconstructive surgery, holistic care, cost of living expenses, transportation to and from treatments, and college scholarships, among other programs.